was not the Persian one, but his own. 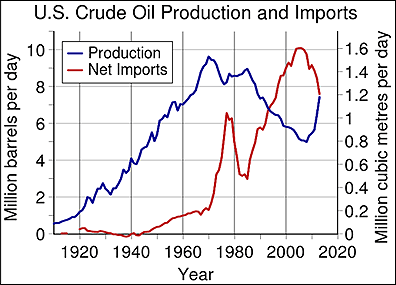 Today, Russia's oil production has recovered from the downfall of Soviet times and the Russian economy is highly dependent on oil exports, much like the old U.S.SR was. So, a drop in oil prices could do a lot of damage to Russia. Given the political situation with the Ukraine crisis, there are speculations that the West is trying to bring down Russia by repeating the same trick that seemed to be so successful in bringing down the old "Evil Empire". Indeed, we are seeing oil prices dropping below $90 per barrel after years of stability around $100. Is it a fluctuation or a trend? Hard to say, but it is being interpreted as the unleashing of the "oil weapon" against Russia on the part of Saudi Arabia. Yet, there are good reasons to think that we could see a drop in oil prices in the near future. One factor is the downturn of several of the world's major economies (e.g. Italy). That could lead to a fall of the demand for oil and, consequently, to lower prices (something similar took place with the financial crisis of 2008). Another factor could be the rapidly growing production of unconventional oil (largely in the form of "shale oil") is the U.S. This oil is not being exported in large amounts, but it has reduced the U.S. demand of oil in the world's market. Coupling these two factors, we might well see a considerable drop in oil prices in the near future, although hardly a sustained one. So, would that be the "oil weapon" that will bring Russia to its knees? Maybe, but, as with all weapons, there are side effects to consider. 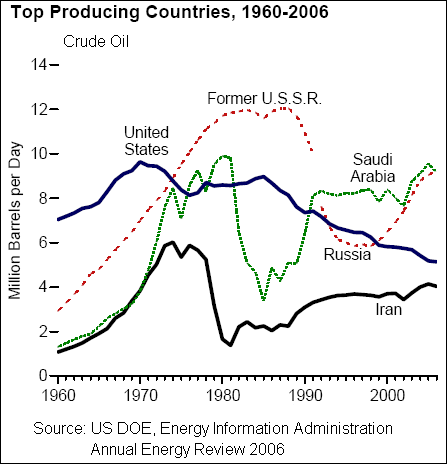 As we said, unconventional oil is playing a major role in maintaining the world's production. The problem is that unconventional oil is often an expensive resource. Then, in the case of shale oil, the decline rate of wells is very fast: the lifetime of a well is of just a few years. So, the shale oil industry needs a continuous influx of new investments to keep producing and it is very sensitive to oil prices. 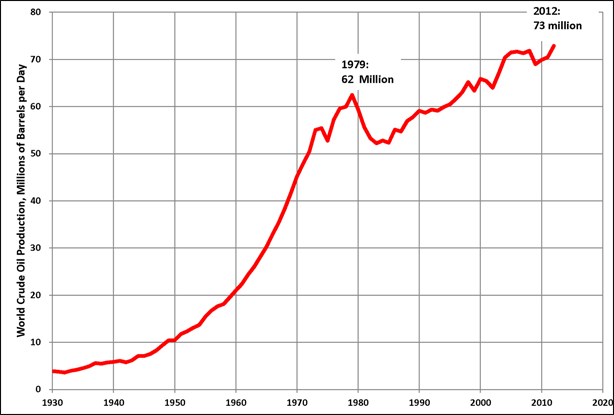 Its recent rise was the result of high prices; low prices might cause its demise. In contrast, conventional oil fields have a lifetime of decades and are relatively immune to short-term variations of oil prices. If we see the situation in these terms, we might legitimately ask against whom the oil weapon is aimed. The U.S. unconventional oil industry might well be its first victim.